Getting to the Most Liveable City in the World! International delegates should plan their travel to arrive in the morning or early afternoon of Wednesday June 8. This will allow sufficient time to check in, and also gives delegates the option of touring the BCIT Centre for Energy, Education and Research facility prior to the opening reception which will take place from 5:30-8:30pm in the Life Sciences Centre - West Atrium (at the University of British Columbia). For more information or assistance in regards to travel, please email Timothy Wong at twong@studentenergy.org. For information or assistance in regards to Visas, please email Bryan Nguyen at bnguyen@studentenergy.org. You can travel from YVR to the University of British Columbia in 30 minutes by cab ride. You also have the option of using the Canada Line, a rapid transit train (disembark at Cambie & Broadway) and the 99 B-line (board going westbound, disembark at UBC loop), which takes just under 50 minutes. Vancouver offers one of the most sophisticated public transit systems that one can take from UBC to central downtown and all around to many of the local attractions. To find out more about what the city of Vancouver has to offer check our local tourism website. 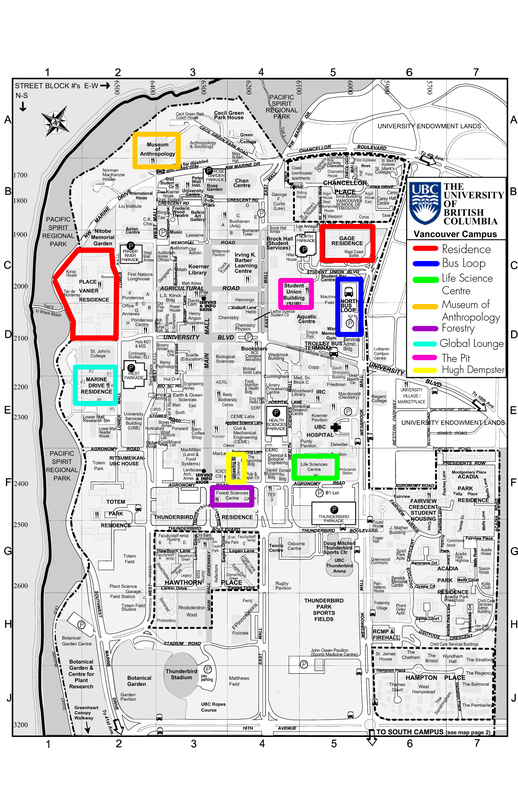 Click HERE to download a map of UBC. 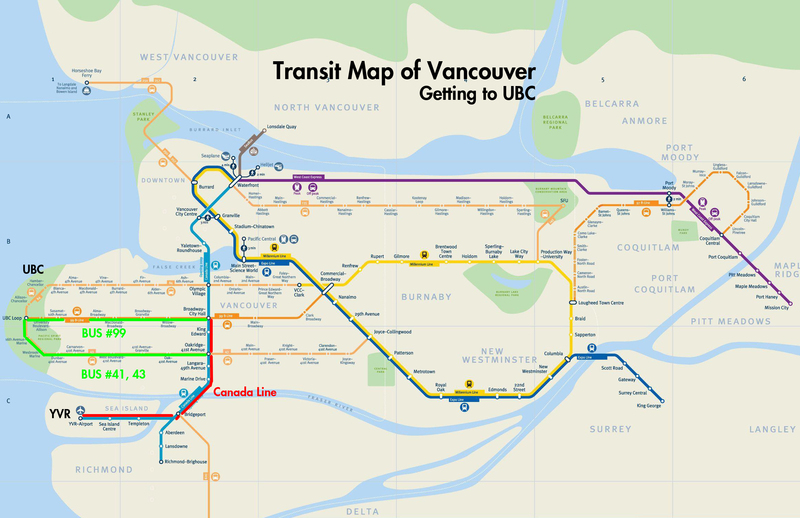 Click HERE to download a transit map of Vancouver. Delegates will be visiting Vancouver just as our summer arrives! We hope for lots of sunshine but there are chances of rain. In any case. do not forget a rain jacket and/or umbrella. Be sure to check out our weather before you start packing.